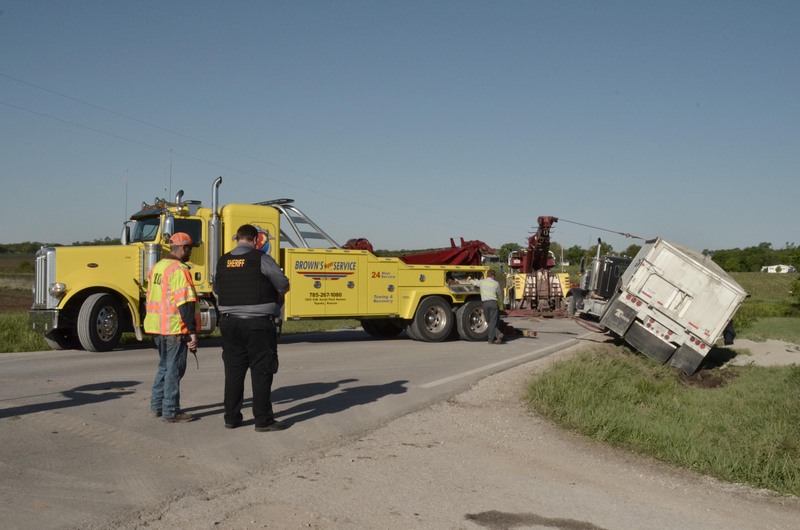 OSAGE CITY — A semi traveling westbound toward Osage City turned over this morning at about 5 a.m. on Highway 31 after the vehicle’s load shifted proceeding a left hand turn from South Wannamaker Road. Through traffic had to be detoured. The Osage County Sheriff's Office worked on the accident. According to Laurie Dunn, Sheriff, the road has since been cleared of obstructions.